Jihae will release her new album, Illusion of You, via her own Septem label in January 2014. The record was executive produced by Dave Stewart who also co-wrote a track with Leonard Cohen and Jihae. On working with Dave Stewert, Jihae stated, "It was a fun learning experience working with Dave on this album. He is a mad scientist of a creative mind and has quirky ways of envisioning structure, sound and texture. Quite a joker too.. Loved hearing his stories of working with Mick Jagger, David Bowie, Brian Eno, Annie Lenox etc.. As Ringo Starr always said.. we said before each take, 'Good luck studio!'" Jihae launched a Kickstarter project today to raise funds to complete the album process and do a proper tour. Check out the project's video below. She has already grabbed a bevy of attention with her smokey and sophisticated voice paired with her cool edginess. 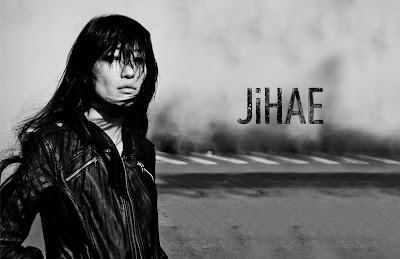 With this upcoming record, Jihae is sure to breakthrough in a major way.